What is the one thing in your home that you would love to make disappear? Ironically, everything that is in your home was more than likely brought there by you. There could be some items that were “inherited” by the previous owner. But for the most part anything that you don’t like in your house started out as something you did like. Over time tastes change and things break down. The moment that you officially have decided you want something to disappear is the moment to call Junk King Palm Beach. These are the junk removal experts who are in the business of making all kinds of unwanted rubbish disappear from homes and businesses. The best part about hiring Junk King to make your year is you won’t have to lift a finger. All of the heavy lifting will be accomplished by the junk King moving team who will be assigned to your session.at the minimum, this will be a two-man crew. That’s really all you need to get rid of just about any piece of furniture or major kitchen appliance in your home. Not only do the Junk King crews have a lot of experience with lifting heavy objects but they also have a lot of experience with taking things apart. Though skill sets will come in handy when you need to remove something like an entertainment center, bookshelves, dresser or bed frame. Although Junk King is going to make things disappear from your home those items might not totally vanish. That’s because they could be repurposed either as recyclable materials or as donations to charity. Junk King has set up partnerships with these organizations throughout Palm Beach. They know what they’re looking for any given time. The crews are trained to spot those items and to make sure they are separated back to the depot. When they have a truck full of donations, then Junk King will make the extra drop off. You should feel good given your junk to Junk King knowing that it won’t automatically end up in a landfill. Whatever junk you have that needs to disappear, Junk King Palm Beach can make it happen. This entry was posted in Palm Beach Junk Removal and tagged junk, Junk King, junk removal on October 31, 2018 by Junk King. Last updated November 1, 2018 . Have you already been up to your attic to pull down the Halloween decorations? How much more stuff ended up there since you back the Christmas decorations? Even if you only put two boxes up in the attic per month, it would be 24 boxes. Are you sure everything in those boxes would be things you need to hold onto? 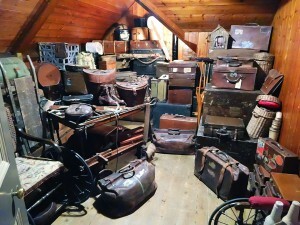 One clean out session from Junk King Palm Beach can result in an attic with plenty of newfound storage space. That is definitely worth a call. The great thing about using Junk King to clean your attic is that you only have to make two trips up there. The first trip would be to sort through all the boxes and other stuff that have been gathered over the years. You can pull everything into a pile or slap a Post-It onto it. The next trip you’ll make is with the Junk King crew. Show them all the things you want to get rid of and they’ll take it from there. Whether it takes two trips or two dozen trips, the Junk King squad will handle the clean out very quickly and efficiently. Once the attic clean out has been taken care of, you can have the same Junk King team go through the rest of the house to remove whatever else needs to be loaded onto the truck. Weight will never be a factor with Junk King. That is true for carrying stuff out and for pricing. Your fee will be based on how the truck gets packed by the crew. They like getting everything into a tight space and that will mean you get to pay the low end of the price scale. 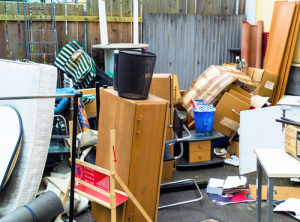 You can set up your clean out session with one call to Junk King. As long as you know what you want to get rid of, you might be able to take advantage of a same day pickup. Most sessions are handled within 24-hours of that first call. Are you ready to for a total attic clean out? Then you’re ready to put Junk King Palm Beach to work. This entry was posted in Palm Beach Junk Removal and tagged attic, Junk King, junk removal on October 25, 2018 by Junk King. Last updated October 25, 2018 .